The Jaguar XJ was introduced in 1968 to replace four separate sedans, bringing with it the latest in technology including four wheel independent suspension. After a V12 was added in the early 70s to compliment the straight 6, incremental improvements were made until a fresh redesign in 1986. This new model lasted almost as long as its predecessor, and was finally replaced in 2003. The new car had an aluminum intensive structure and new V8s that greatly improved performance, but this went mostly unnoticed by the buying public because it looked almost identical to the old model. 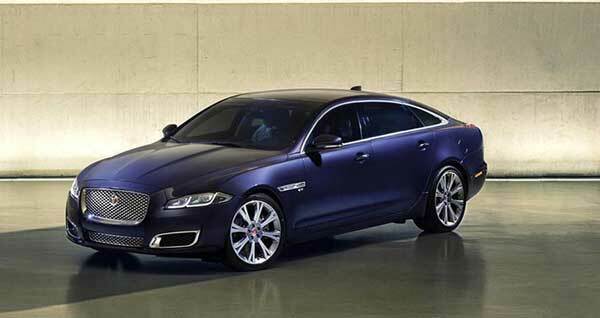 Ian Callum sought to change this, creating a thoroughly modern look for the 2009 model that visually represented the abilities of Jaguar's big sports sedan. Want to maintain the luxury of your British sedan? Visit Jaguar of Las Vegas for all your Jaguar needs. We specialize in OEM parts, built with the same fit and quality as the parts used to build your XJ at the factory. We carry replacements for just about anything on your vehicle including air filters, alloy wheel and tail lights. Use the VIN or model search on our homepage, and our search engine will show you the correct parts for your vehicle. Have questions? Talk to our parts experts over the phone, or send us your questions via the "Contact Us" page.